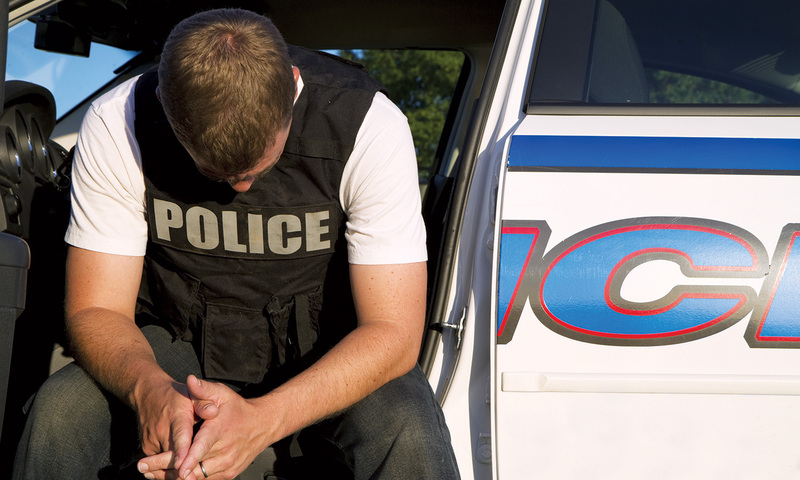 Members of law enforcement face several stressful and traumatic situations in the line of duty. To address this, a University of Texas at San Antonio researcher in the College of Education and Human Development is studying how exposure to high levels of stress impacts officers’ health, behavior and performance. Drawing upon his research experience in sport psychology, William Land, an assistant professor in the UTSA Department of Kinesiology, Health and Nutrition, was awarded two grants to develop a psychological skills inventory to gauge mental skills by law enforcement officers and to quantify the optimal mental states of police officers during use-of-force scenarios. Land is assessing the benefits of the SAPD Performance and Recovery Optimization (PRO), a program aimed to enhance mental resiliency, stress management and performance of police officers. “It’s important to develop tools like this to address whether officers utilize the psychological skills learned during training and whether the use of these mental skills facilitate improved performance outcomes,” said Land. For the second project, Land will provide preliminary data to identify optimal mental states of officers during use-of-force scenarios. Land explains that the identification of optimal mental and physiological states (how alert and energized an officer is) can facilitate the use of self-regulation strategies to mitigate the detrimental effects of stress and anxiety on police performance and use-of-force situations. Land is working in partnership with San Antonio Police Department’s Psychological Service Team and SAPD’s Police Academy, on a multiple case study approach where the individualized performance states of three police officers of different skill levels (cadet, less than five years on the force and police veteran) will be assessed. The officers will participate in 20 interactive video-based law enforcement simulations comprised of short shoot-or-don’t-shoot scenarios that allow the officers to make response decisions across the use-of-force continuum. Officers will be asked to explain their actions and decisions, and then expert police instructors will evaluate and assess the rationale and actions of the officer and record a performance score. During the simulation exercise, measures of physiological and emotional arousal will be recorded (heart rate, heart rate variability and EEG). Using the performance scores and physiological and emotional measures, a probabilistic profile of optimal mental states will be determined for each officer. These profiles will reflect the probability of optimal and non-optimal performance during use-of-force scenarios along the arousal continuum. Land said if the optimal mental states can be identified, then biofeedback tracking (heart rate tracking) can be utilized to provide real-time cues to the officer to engage in self-regulation strategies, thus enhancing self-regulation of stress and performance under pressure. In the UTSA Human Performance Laboratory, Land and his students research the cognitive and psychological factors that influence cognitive and motor performance in sports. He studies how attention influences sport performance, the role of perceptual feedback during motor learning and how to prevent choking under pressure. The UTSA researcher says that the same mental strategies that have been developed for elite athletes can also be beneficial to police officers managing stressful situations while they’re on duty. Kara Soria is a public affairs specialist for the University of Texas at San Antonio.